After painting the gold in the inhabited letter and the first letters of Alexander’s name, I started painting the rest of the scroll. 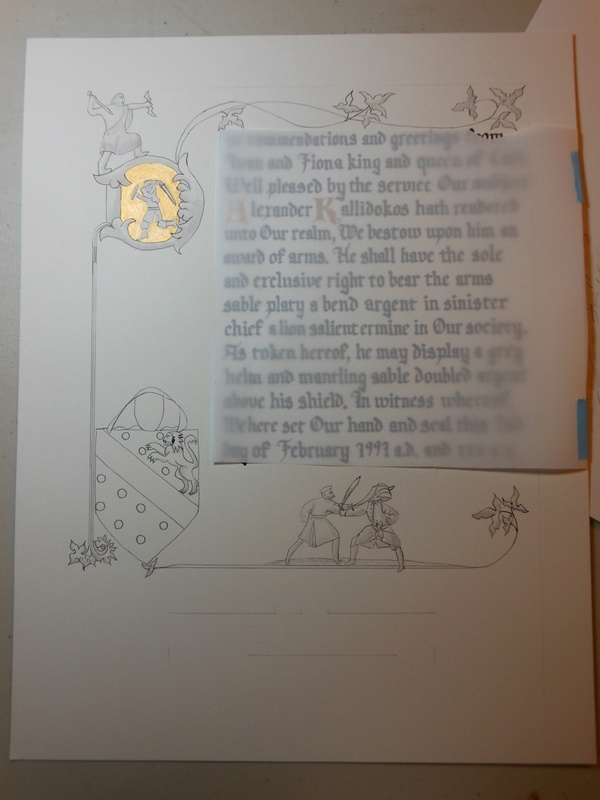 First I took a piece of tracing paper and covered up the calligraphy. I didn’t want any splashes of ink (or anything) getting on the calligraphy while I worked. 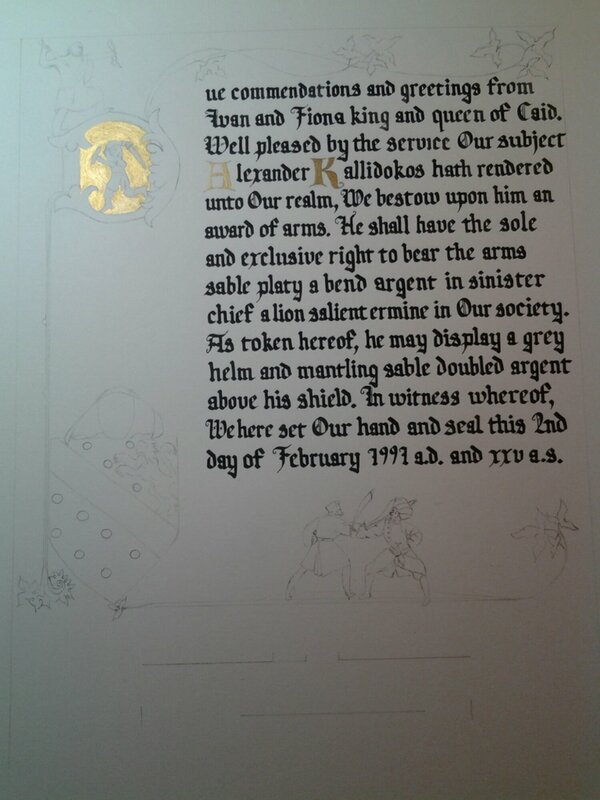 I took some of my iron gall ink (Old World Ink from John Neal Booksellers which I love!) and diluted it with water. I wanted something very thin. I then outlined everything on the page with a crowquill pen. I’m not sure I remember exactly, but I think that was about an hours worth of work. More or less. You can see on the lion’s mane where the ink blobbed a little bit. I found that I had to be careful how much ink was on the crowquill. I usually tested it on a piece scratch paper before putting anything on the scroll. I also found that I had to be carefull not to let the crowquill sit in one place on the scroll for too long as that caused blobs as well.